You'll find here a summary of boys sewing projects. It is a misunderstanding to think that only girls sew or have an interest in sewing. Give them something "boyish" or fun to sew and they make great sewers. Give boys a project like a purse or headband and they may never be interested again. Sometimes simple sewing projects can be changed entirely by the fabric you use. There is a wide range of interesting boy designed fabric with themes such as sports, hunting, characters, animals, even a plain color fabric in their favorite color can make a project more in tune for a boy. Go ahead and take your boy shopping at the fabric store let him pick out a yard or two of his favorite fabric. (He might even be surprised what type of fabric is available.) 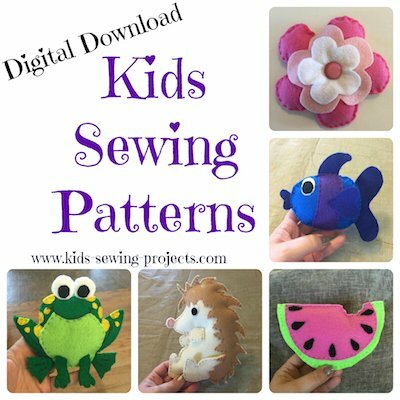 Then try one of these sewing projects that can easily interest your boy. Don't forget simple sewing techniques to teach them as well including sewing on buttons and mending. ipod holder. This is a great project that kids can design and create exactly how they'd like. 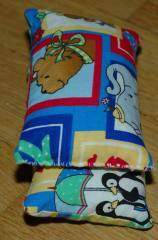 Treasure stick bag- This project is great for a beginning sewer to hand sew. My son made one for one of his first projects with red felt and a red robin patch. He still has it hanging in his room. Pencil case- You can create a zipper bag and use it as a pencil case, pokemon card holder or to hold whatever treasure they'd like. You can also change the size if you'd like a smaller case like to hold money. Again changing the fabric will really bring personality to the project. 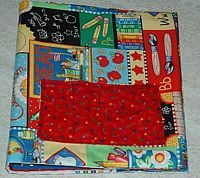 Pillowcase- Every kid has to sleep and how better to personalize their room by making a pillowcase out of a themed fabric. 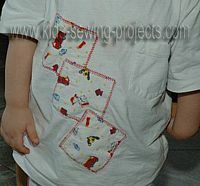 Applique a shirt- This is a simple idea that can turn a plain shirt into something fun. This is one of those boys sewing projects they can personalize easily. Stuffed Balls- Create a stuffed ball or animal from this project. T-shirt drawstring bag- Do they have a favorite shirt they don't want to part with? This is a good project to recycle a shirt and make a bag at the same time. Binder Cover- Make school work more fun or organize their paperwork at home with a binder cover. 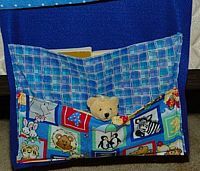 Bed Caddy- Organize all those boys bedtime books, toys or cards with a simple bed or couch caddy. Lap Desk. An easy project to use when doing homework or drawing. How about a basic flannel pajama pants from an easy to sew pattern and applique a t-shirt to go with. Fabric Organizer. Perfect for kids who love to draw. Organize your colored pencils in this project. Denim Quilt. This project takes some collecting of old jeans but it is a great boys quilt to put on their bed. 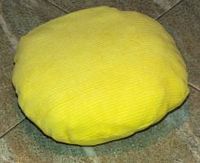 Sew a throw pillow for their own bed. Letter pillows - Trace the letters in their name on poster board or heavy paper. Cut out two layers of material and sew as you would pillows. Throw Rug- another perfect project for boys to personalize their room and use their favorite material. 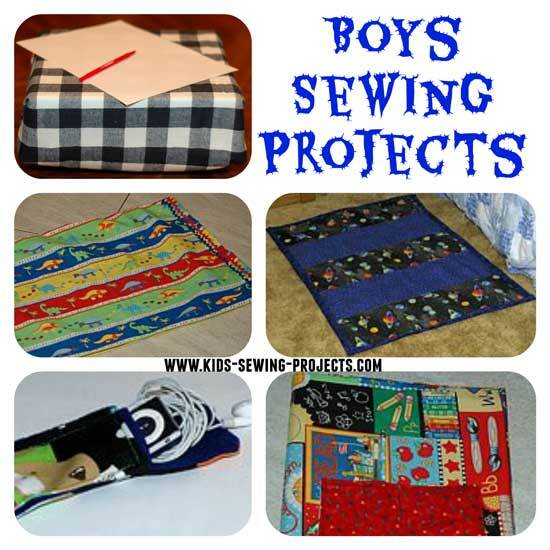 Do you have a Sewing Projects for Boys?